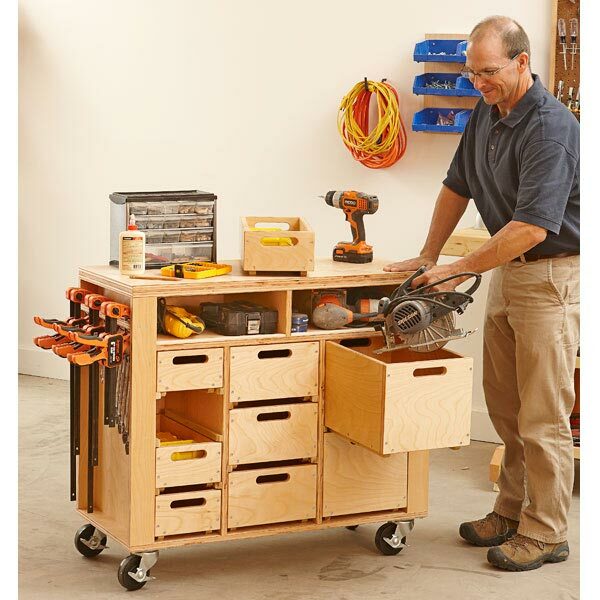 Here's a rock-solid workbench that's mobile. 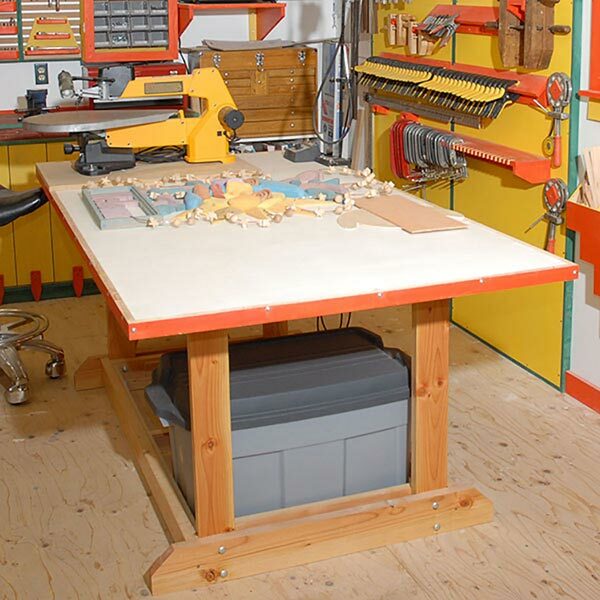 We built it for IDEA SHOP 2, the garage shop, so we could push it out of the way when the time comes for moving vehicles inside. 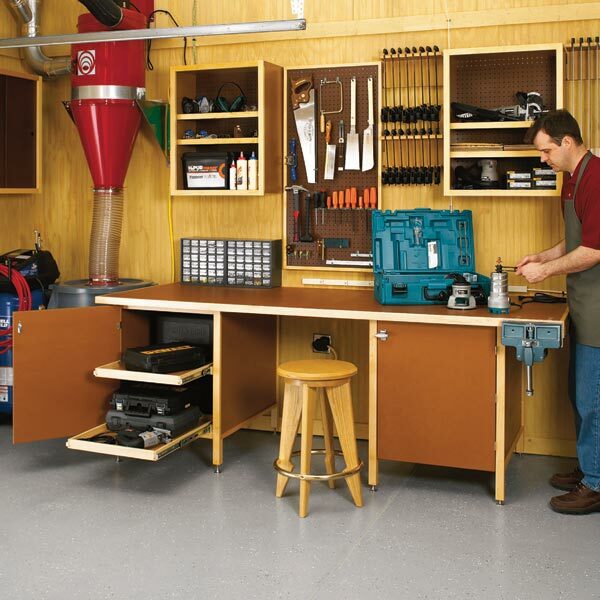 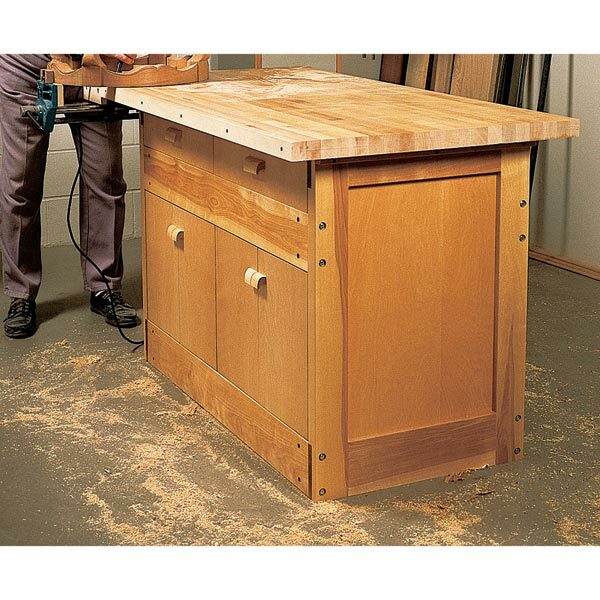 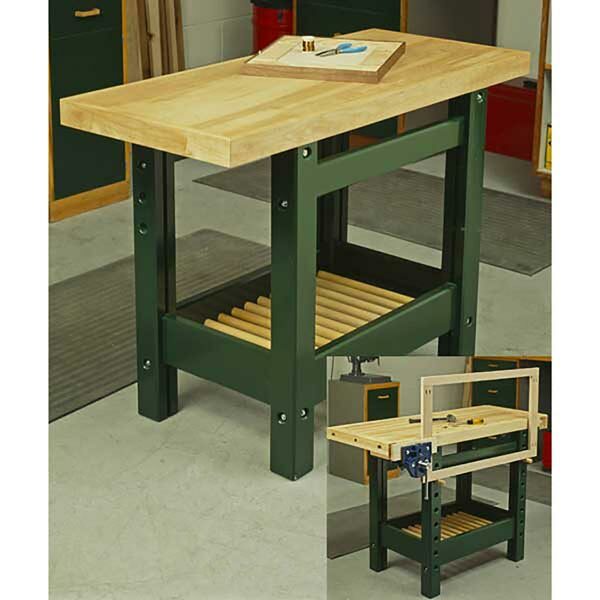 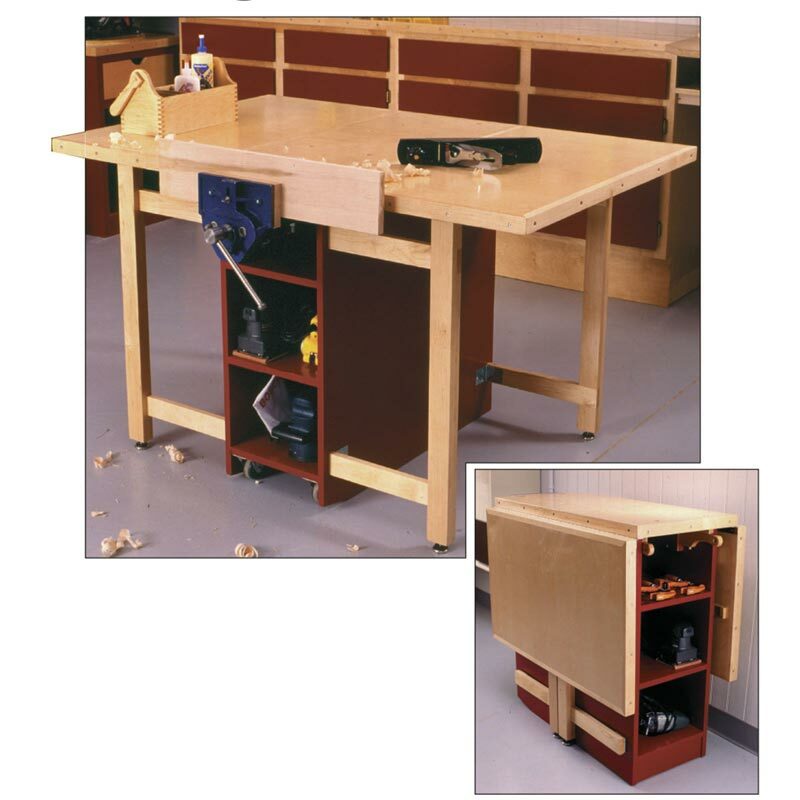 The workbench features, fold-down leaves for efficient against-the-wall storage. 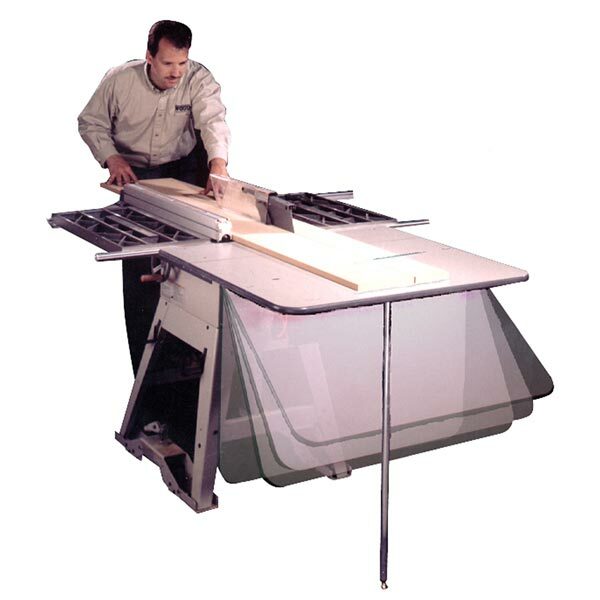 Folded out, the benchtop measures 36 x 58". 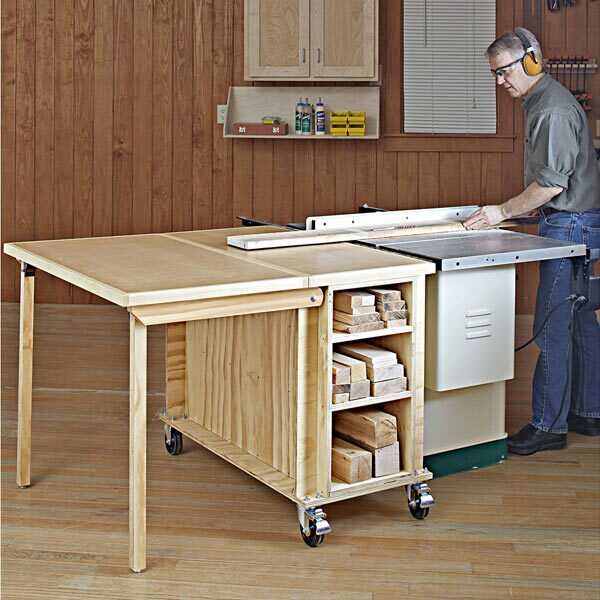 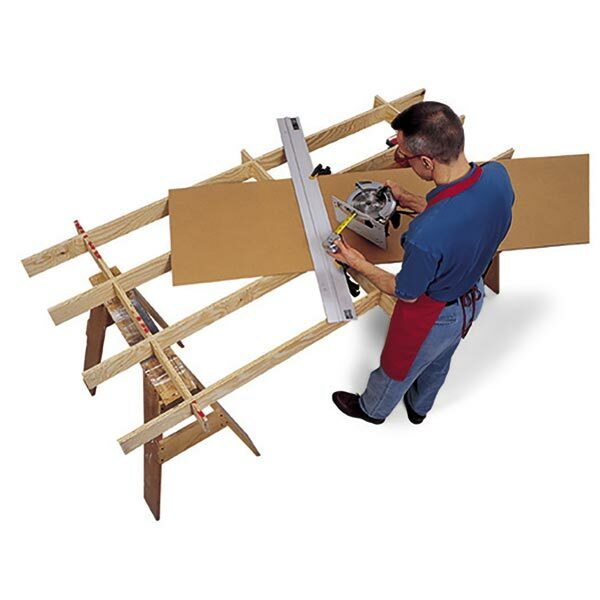 Included with this plan are the drawings and instructions to make the tool mover for moving the workbench around your shop.